How can Christians respectfully enter ecumenical dialogue while remaining true to their belief in the supremacy of Jesus Christ? Joseph Pandiappallil draws upon the transcendental Christology of Karl Rahner to offer us a way to engage our brothers and sisters of other faiths in meaningful and fruitful conversation. The relevance of the author’s conclusions in relation to Christology, ecumenical and interreligious dialogue, and theology is presented in the context of cultural and religious pluralism. 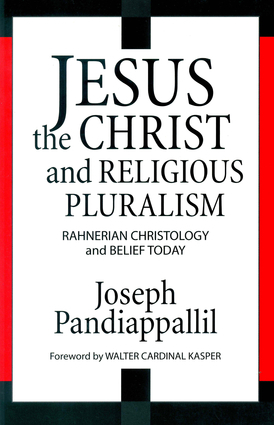 Joseph Pandiappallil is an Indian priest in the Missionary Congregation of the Blessed Sacrament. Walter Cardinal Kasper is a German cardinal of the Roman Catholic Church. He is president emeritus of the Pontifical Council for Promoting Christian Unity, having served as its president from 2001 to 2010.